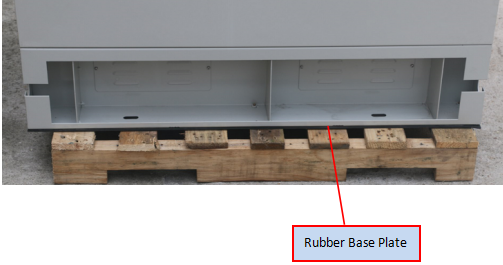 Upper Bay: 19” Rack; Lower Bay: Battery Shelf. Sandwich Structure, Double Wall, With Heat Insulation. 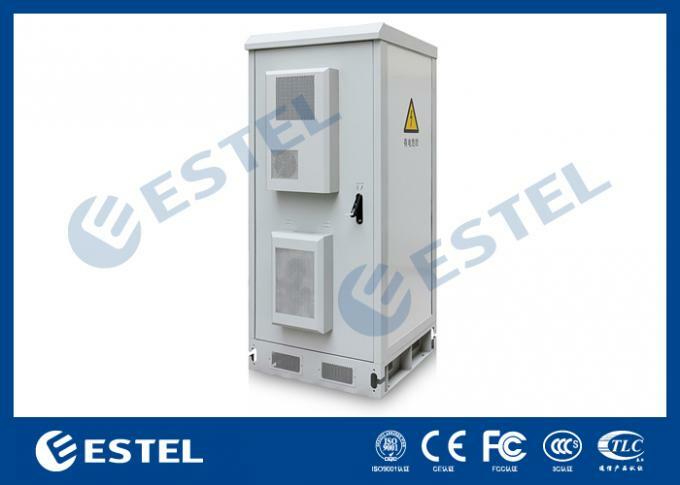 Brand Name: ESTEL Structure: sandwich structure, double wall, with heat insulation. 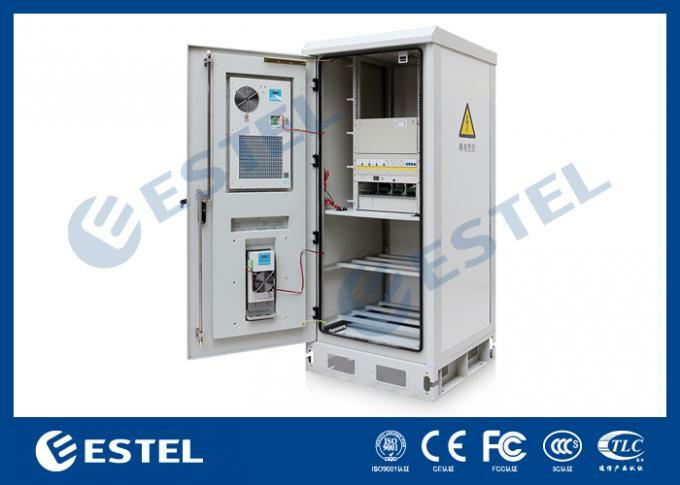 Model: ET9090210-UP Cabinet Layout: one compartment, upper compartment for installing 19” power equipment, lower compartment for installing batteries. Payment Terms: T/T, L/C etc. Equipment Installation Method Upper bay: 19” rack; Lower bay: battery shelf. 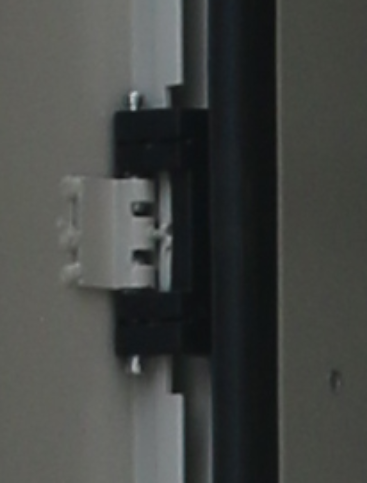 (2) One compartment: the upper part is equipment bay, the lower part is battery bay. 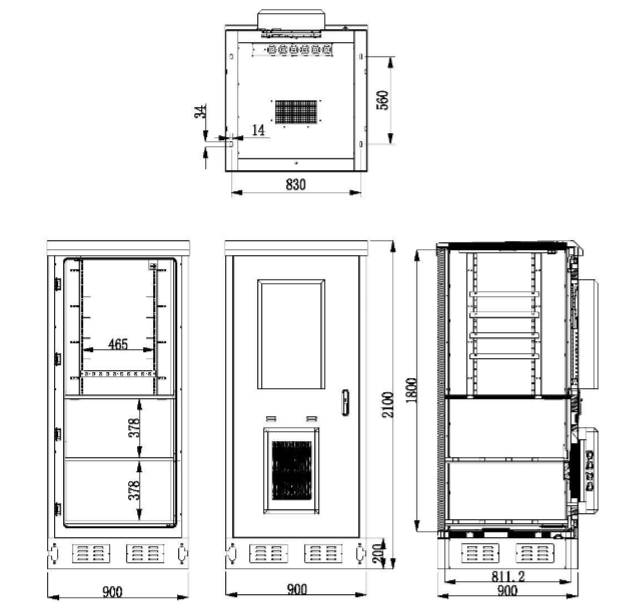 4 Environment Monitoring Unit 1 Set 19”, 1U; Model: SM2400. 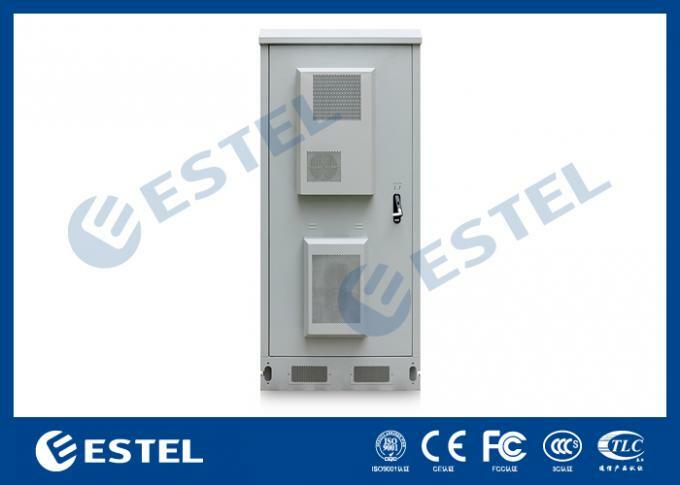 5 Door Sensor 2 PC One for controlling LED lamp, one for open door alarm. 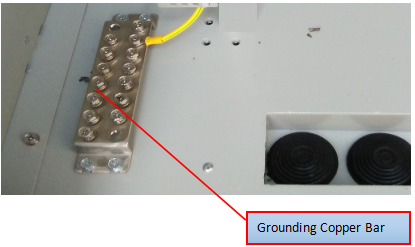 (3)The layout of the cabinet is reasonable, which will facilitate cable access, fixing and grounding. 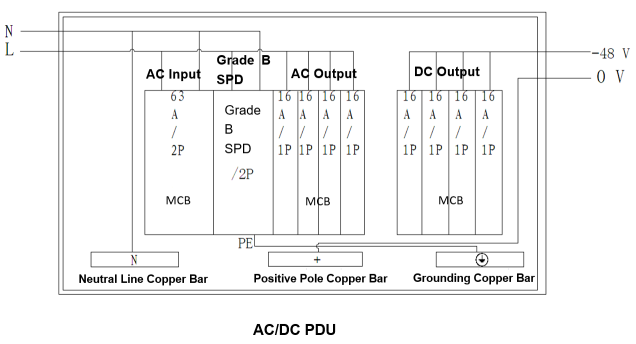 There are cable inlets individually for power cable, signal cable and optical cable. The ET9090210-UP Outdoor UPS Cabinet is for holding telecom power system and batteries, mainly used in wireless communication base station, such as 4G system, communication/network integrated service, access/transmission switching station, emergency communication/transmission, etc. 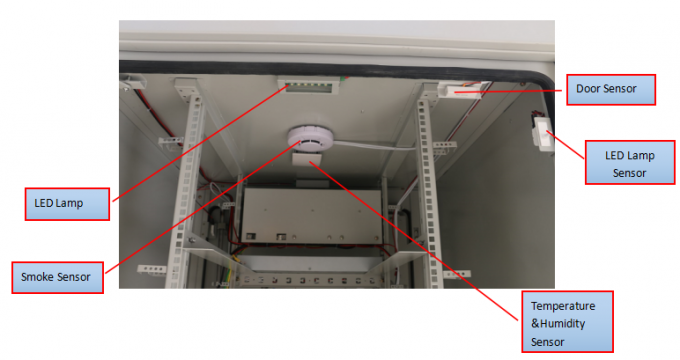 5.1 LED lamp, LED lamp sensor, smoke sensor, door sensor and temperature & humidity sensor are installed at the top of the cabinet. 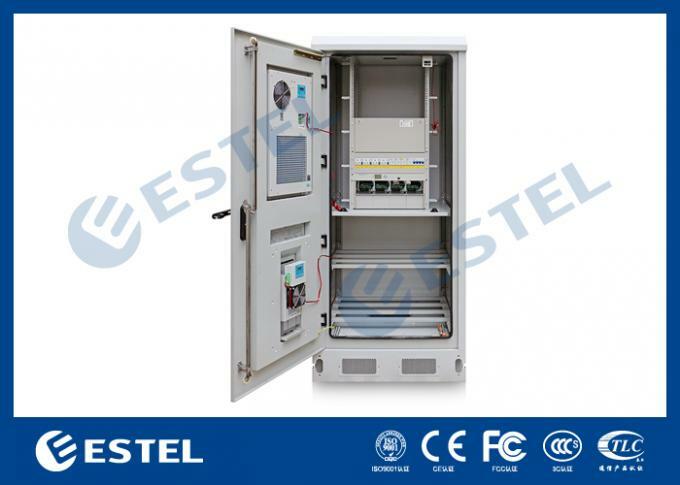 5.3 PDU, environment monitoring unit and rectifier system are installed on 19” rack. 5.4 The cabinet includes totally two air conditioners, installed on front door. 5.5 The cabinet includes rubber base plate, for installation on transport telecom tower trailer. 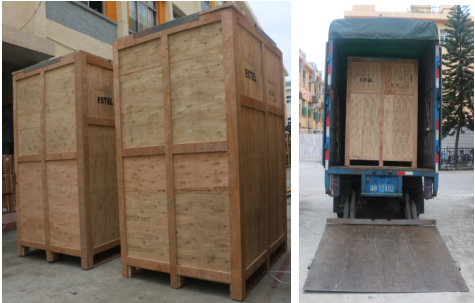 Our company resolutely implements the principle of quality first, we control and supervise the whole production process in strict accordance with the requirements of the ISO9001 system and the related implementation process. 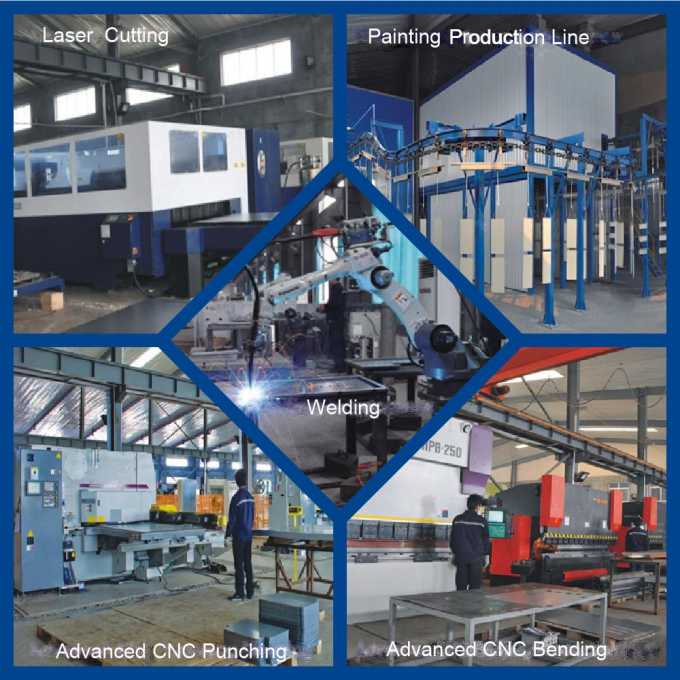 The quality department strictly controls all aspects like material inspection, production processes, product testing, shipment inspection and establishes traceable documents and product identification. 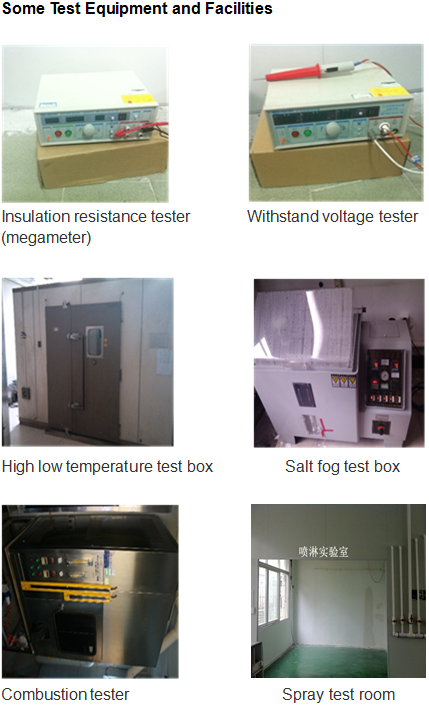 Our quality inspection team, is very familiar with the various standards, strict implementation of the standards required sampling and testing methods.